Anwarul's kaleidoscope: As one of the most successful man suggest. We all expect the new year to come with new prospects, blessing, success, growth, ambition, but the year 2009 slaughtered everything very genuinely. This is the time when we are standing in the living hell. People are losing their job, business are getting shut down, students are afraid of their future nightmare. Well this crisis seems not go off easily but going to take hell lot of time and we need to stand straight to deal with this. As one of the most successful business man Warren Buffett gave his advice to take over the situation calmly. I read a blog about this and really admired this so though it would be worth sharing and writing the same for you. Read it and take it wisely. Ø Hard work: All hard work bring a profit, but mere talk leads only to poverty. Ø Laziness: A sleeping lobster is carried away by the water current. Ø Spending: If you buy things you don't need, you'll soon sell things you need. Ø Savings: Don't save what is left after spending; Spend what is left after saving. 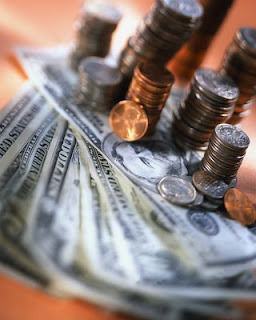 Ø Borrowings: The borrower becomes the lender's slave. Ø Accounting: It's no use carrying an umbrella, if your shoes are leaking. Ø Auditing: Beware of little expenses; A small leak can sink a large ship. Ø Investment: Don't put all your eggs in one basket. Take something out of this if you really read it. How did you find this? keep commented.